Steel slag has been widely used as amendment and silicon fertilizer to alleviate the mobility and bioavailability of heavy metals in soil. The objective of this study was to evaluate the influence of particle size, composition, and application rate of slag on metal immobilization in acidic soil, metals uptake by rice and rice growth. The results indicated that application of slag increased soil pH, plant-available silicon concentrations in soil, and decreased the bioavailability of metals compared with control treatment, whereas pulverous slag (S1) was more effective than granular slag (S2 and S3). The acid-extractable fraction of Cd in the spiked soil was significantly decreased with application of S1 at rates of 1 and 3 %, acid-extractable fractions of Cu and Zn were decreased when treated at 3 %. Use of S1 at both rates resulted in significantly lower Cd, Cu, and Zn concentrations in rice tissues than in controls by 82.6–92.9, 88.4–95.6, and 67.4–81.4 %, respectively. However, use of pulverous slag at 1 % significantly promotes rice growth, restricted rice growth when treated at 3 %. Thus, the results explained that reduced particle size and suitable application rate of slag could be beneficial to rice growth and metals stabilization. 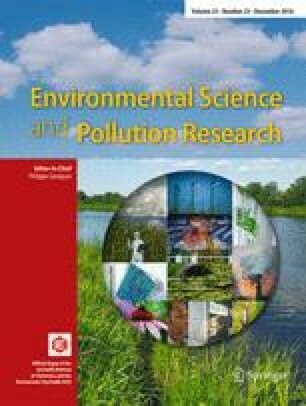 This work was jointly supported by The National Natural Science Foundation of China entitled “Immobilization of heavy metals in a contaminated paddy soil using nano-slag-based silicon fertilizer and ecological assessment” (Approved No. 51509249), The 12th 368 Five-Year Key Programs entitled “Techniques for Agricultural Use of Steel and Iron Slag: Research and Demonstration Supported by Ministry of Science and Technology, China, 2013-2017”.